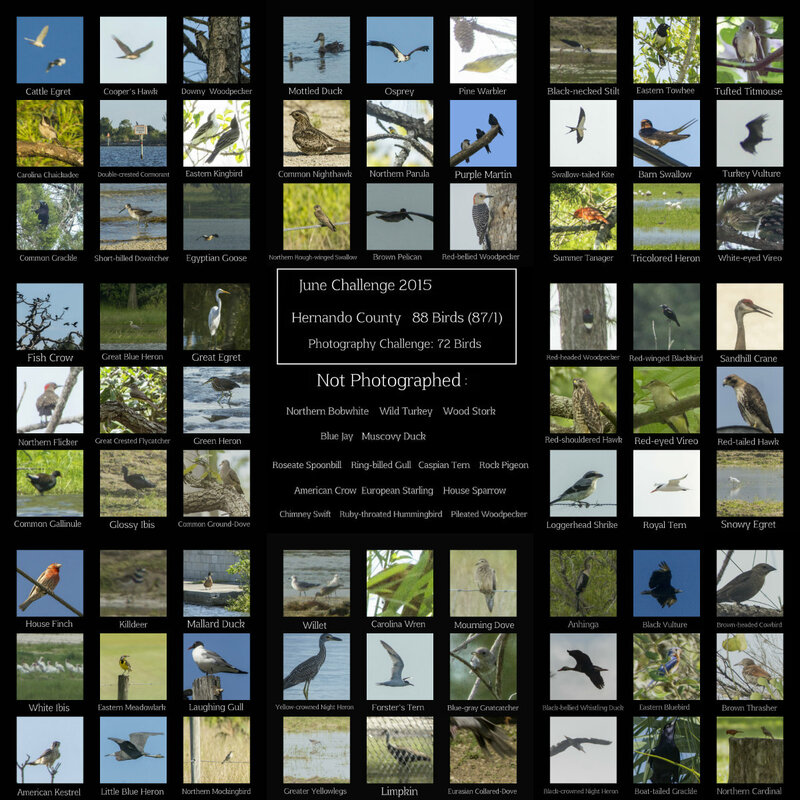 I had such a great month looking for as many species as I could in Hernando County. There are not many participants in this area, but I was second after a birding couple who go out together. I learned a lot for next year. I didn't even fully start until mid-month, and didn't know many of the locations to visit until the end of the month. I am not sure if I will get as many birds next year though, because I just kept getting lucky! Some of my favorite moments were when two bobwhite quails ran out in front of my car (male and female) and I did not have them on the list yet ans so I started yelling "bobwhites!!" I had got some great moments at Weeki Wachee park including beautiful shots of a night hawk, who was playing injured to get me away from a hidden nest. I also got a life bird at the park with the northern rough-winged swallows, and they were so close and so visible there. At pine island toward the end of the month I saw (and photographed) a brown pelican. It was the most excited I have ever been to see a pelican, as it is not often found during the Hernando June Challenge. Two great birds at Hernando Beach neighborhood with the house finch and barn swallow. Maybe the best was the way that June Challenge ended with baby Eastern Kingbirds, a new bird for the list, a new breeding record for the area, and added to the bird atlas. Found many parks to visit later in the year when the weather is nice, and learned more about the June Challenge and the best places to visit for next June. I photographed as many birds as I could, but my goal for next year is to photograph all species seen. Can't wait!